so I'm unable to perform conversions for you guys. But it's not that difficult to do it yourself. from .mcr to PSP and PS Vita format (VMP). on some other communities where I frequent. we can even help someone else by using those converted saves. So, consider this the official "ask Shendo to convert my save" post. and attach saves when I get the chance. Yes, I made the tool but since it can't properly sign files it requires too many steps to be practical. Hello! I dont know if you still continue your convert service but if you have some time, can you convert my FFVIII PAL .mcr save file to .VMP please ? Got a right before end game Wild Arms 2 set up here its the 1st one 01. 02 is the end game access menu. Tried converting bymyself but always get mem card not found on ps tv and cw cheat not an option. Much appreciated. ending 20 is the gamefile thats still playable. the memory card contains the original saves. I was wondering if you could convert this .mcr savefile from Persona 2 Eternal Punishment (US) to a .vmp savefile. It contains a savefile with a gameshark cheat applied on it that gives the player x999 of each tarot card. I saved the game after finishing the Sky Museum dungeon very early in the game. Mega Man Legends 2 Please. Hello. I'm not sure if my old message got sent or not, if it did I'm sorry. I would like to ask you if you could be so kind and convert following saves into PS Vita format? Thanks! Nevermind, I figured out a way to do it; I installed the same game on my PSP, and for some reason CWcheat does work with that game. So I used the CWcheat method to transfer Mcr to the Psp, save the game, copied the Vmp to my pc, and then used PspFtp on my vita to transfer that Vmp to my Vita. I should've figured this out earlier :). Could you please convert this .MCR to .VMP so I can play it on my PSVita. At least, if you cannot convert it to PSVita, you can do it to PS3 format. The file is on my personal NAS, it'a a save of the beginning of Castlevania Symphony of the night with max gold and some boosted stuffs. Don't you have CWcheat installed on your Vita? Because it's pretty easy to load up the .MCR file with that plugin and load your save directly from that. I see, so you don't have an eCFW installed on your vita then? It's a factory settings Vita with official firmware? Because if you have that, you can install the same things as you can on a Vita. The game is Castlevania Symphonie of the night (EU). Can you please convert this memory card with two Suikoden II saves? Awesome work on MemcardRex, btw! Hi, can you convert those mcr to vmp pretty please, thank you very much for what you do, its awesome!!!! Hi Shendo i dont know if ur still doin this or not but im gonna ask anyway, can you convert this one for me please to vmp really appreciate it please. hi shendo its deadworld66 I asked for the chrono cross save for ps vita and I tried to use the content manager and it doesn't show up. am I doing something wrong, is vpm the wrong format for ps vita. Are you sure you put it into the right directory? (check your CMA program and look at the bottom row of directories, it should show you where to put "application/backup" for Vita files. If so, have you put the correct gameID as the directory after that (scus***, where in *** are the numbers). If you put it in there, your vita should recognize it when plugged into your pc and wish to transfer the saves through CMA. wow thank you cause I just didn't know what I was doing. Im sorry if i keep bugging u but do u mind converting this to vmp please, really much appreciate it and hope to hear from you soon man! thanks! 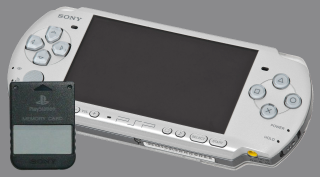 Hi Shendo, if possible could you convert me this file for the PSP? Thanks a lot for your hard work. hey can someone convert me the FFIX savegame to VMP for my ps vita ? i have downloaded a few savegames fpr ff7 and ff8 what are converted but why i cant use the saves ? If you want you can post your savestates so I can take a look. i know its too late but I just started with my PSP and I started downloading the old games from PSX so I downloaded one of my played a lot games yet I need help in it ,Breath of fire 4 . I need help in Finding the Saved Data from PSX converted into VMP so I can use it in PSP , there are some part of the game whih you will need full of everything weapon and item mainly max everything even powers. Hey man! I want to past my Save of Parasite Eve to my PSP can you help me? Sorry, I can't, I don't have a PSP anymore. What about now - a year later? Did you ever purchase another one? lol... I could use help but seeing how old the .psv problem is, I don't have much hope that I'll get MY saves because I don't own a ps2 or memory card adapter (at least that's what I THINK is needed from what I've read)... This should be updated somehow... Do you have a youtube? You really should make some videos! I guess there's still no getting around the psx signature thing then, huh? I used Rex to put a PS3 .psv into an .mcd my FPSE could use (so I could cheat on FFVII to get a side quest done), but then - of course - I ran into the "export .psv" problem... Is there any way to use a ps2 emulator on the pc to achieve the same thing as with the real ps2 or whatever? I'm just trying to think of a way around things but I don't really have the technical knowledge... and I hate the thought of using someone else's save file for some reason.